The authors outline reasons for renaming schizophrenia and the way a change can reform practice. A recent editorial, published in Epidemiology and Psychiatric Sciences, makes an argument for getting rid of the schizophrenia diagnosis, listing five reasons for the change, five signals of change, five challenges of change, five promises of change, and five steps for change. The authors argue that changing the name for schizophrenia is a necessary step to modernize psychiatry and mental health services worldwide. “Renaming a particular form of mental suffering should be accompanied by a broader debate of the entire diagnosis-evidence-based-practice (EBP)-symptom-reduction model as the normative factor driving the content and organization of mental health services that may be detached from patients’ needs and reality, overlooks the trans-syndromal structure of mental difficulties, appraises the significance of the technical features over the relational and ritual components of care, and underestimates the lack of EBP group-to-individual generalizability,” write the authors, Sinan Guloksuz and Jim van Os. Schizophrenia. Torn pieces of paper with the word Schizophrenia and mental disorder. Concept Image. Black and White. Closeup. In a recent critical perspective article, the authors discussed factors that may explain the “slow death of the concept of schizophrenia” as well as “the benefits of embracing a spectrum approach with an umbrella psychosis spectrum (PSD) category” in response to the stigma and misperceptions the current DSM label perpetuates. The following argument is an extension of their previous work, aiming to cover the most pertinent points towards renaming schizophrenia. The name schizophrenia has been morphed into a confusing and frightening term, derived from the literal translation ‘split mind’ in Greek. 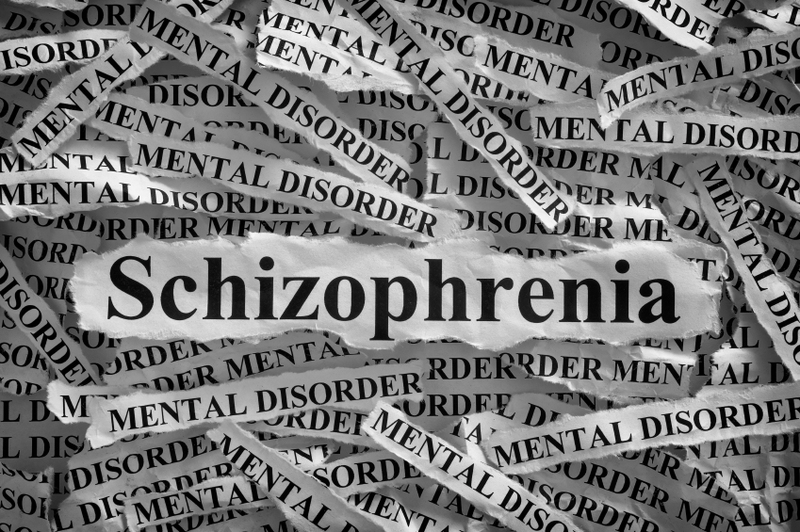 Schizophrenia is associated with “insanity, hopelessness, desperation, violence, stigma and discrimination,” negatively impacting those individuals diagnosed, their family, and service providers. Individuals diagnosed with schizophrenia often refrain from disclosing this information in fear of repercussions and discrimination. 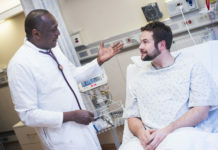 Communicating the diagnosis can also be a struggle for providers. Schizophrenia misrepresents a much broader psychosis spectrum. The term accounts for perhaps 30% of those with poor outcomes. “Several Asian countries have already officially abolished the term schizophrenia,” e.g. Japan, South Korea, Hong Kong, and Taiwan. In order to rename schizophrenia, “serious consideration of societal, medical, economic, and legal ramifications” is warranted. “Extensive reconceptualization” has to be concurrent alongside semantic revision, an even bigger challenge than simply renaming. 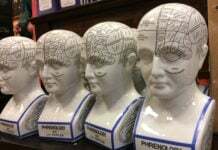 Renaming could differentiate “the new medical term from metaphoric misuse of the term schizophrenia and its adjective labeling from ‘schizophrenic’ that sustains the negative public image of the illness. 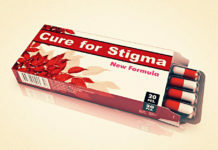 “A new name will stimulate public awareness” and aim to reduce stigma by improving the public’s perception. Renaming “facilitates communication and shared decision-making between patients and mental health professionals” and can promote engagement in services. A new generation of “open and critical science towards reconstructing psychosis” may emerge from shifting to an umbrella diagnosis category like PSD. Mental health providers should “be encouraged to start with using a balanced and scientific approach in working with psychopathology in the psychosis spectrum,” since change is most productive at the bottom-up level. “Academic psychiatry and mainstream journals may work towards a more balanced and modern science of psychosis, i.e. one that also takes seriously the 70% of the phenotype not characterized by a poor prognosis. Guloksuz and van Os’ commentary is among others actively critiquing dominant narratives of mental illness and proposing shifts in both perception and practice. The authors further clarify the need for “innovative models of integration of social and mental health care,” alongside strengthening resilience in the existential and social domains. I’ve always liked David Hawkins’ term “metabolic dysperception” since 1974, when I first read it. I don’t like “metabolic dysperception” because it is giving this “dysperception” a biological basis, and, as far as I’m concerned, that argument still isn’t supported by the evidence. For many years, I’ve accepted the idea that delusions arise from attempts to explain events originating from trying to explain distorted perceptual experiences. For instance, paranoid notions can easily arise from the sensation of being watched or from auditories whispering or saying bad things about you. Such things are likely to have a biological basis, all right, that can be corrected, but obviously not with “antipsychotic” drugs which simply shut everything down (and you, too, if you overdose). The problem isn’t with the much despised medical model, but its psychiatric version, which ignores physical difficulties outside the brain that affect its functioning, and which can be manifold. For example, I give you Theron Randolph’s presentation of what he considered cerebral allergies, curable with water fasting and future avoidance, to the APA about 60 years ago, in which he presented histories of 2000 or so patients and demonstrated it on stage with two of his patient volunteers. The APA regarded him with a big ho-hum. This is called the ‘argument to moderation’ and it’s an astounding sight to see a logical fallacy written into a scientific research paper as if it were a noble goal to take a centrist approach rather than boldly search for the unbiased truth despite the social, political, and scientific ramifications of the eventual findings. Way to go on deligitimizing both ‘psychiatric’ ‘science’ and MIA as a publication grounded in science. Yep, here’s another excuse for business as usual. We will just conduct it in another fashion using a different terminology. I think it makes more sense to encourage people to abandon the confining, labeling, and drugging business altogether. Medically minded people should be in the business of tending to people’s physical being rather than imprisoning them, slandering them, and maiming them. I suppose it’s an improvement over saying we’re all antiscientific whack jobs, but definitely a pretty cowardly position! Although “psychosis” can also be created via sleep deprivation, or with other street and pharmaceutical drugs, like steroids. But, again, none of these etiologies of “psychosis” is a “lifelong, incurable, genetic mental illness.” As the psychiatric industry fraudulently claims, has and is wasting billions in taxpayer money trying to unsuccessfully prove. Because the psychiatrists wish “psychosis” was a “lifelong, incurable, genetic” illness. But “psychosis” is not a “lifelong, incurable, genetic” illness, so there really is no need for a PSD label. And what’s good is if we could get the doctors and psychiatrists to stop prescribing their beloved antipsychotic/neuroleptic and antidepressant “wonder drugs,” we could likely prevent the worst of our society’s “psychosis” problems. Changing the names of the drug classes or illness classes does not change the reality that the psychiatric drugs create “psychosis,” via anticholinergic toxidrome. I wouldn’t be in favour of replacing the term “schizophrenia” I would be in favour of getting rid of it. I would be in favour of getting rid of the term “psychosis” as well. (30 plus years ago, I was diagnosed as chronically “schizophrenic” until I stopped taking “medication” suitable for “schizophrenia” – but I had to come off the “medication” very carefully). That’s a VERY good start, Brian. 1. Afiirm that there will be NO “DSM-6″….a “DSM-5R”, or “DSM-5TR” would be ok…..
2. New memberships in the APA will CLOSE/END, effective immediately…..
Those 2 simple, and easy-to-do acts would be a bigger boost and boon to public health than anything else I can think of…. The whole “mental illness industrial complex” would be largely unchanged, but dramatically improved. I hear all of the wonders that will happen from the renaming, but frankly, I do not believe one bit of it. It is still reducing a vast amount of life experience to a spectrum. Life’s experiences owe a more complete description, and from the experiencer, not a doctor, please. What are they going to call it? 1) It’s still a disease, but considering that it’s not believed to be so, we’re blaming it on the old name. I try to imagine a world where physical diseases are labeled and stigmatized the same way distressing emotional states and behaviors are. Wouldn’t it be the literal definition of crazy if you went to the doctor with a broken leg and were labeled with painful disconnected bone disorder and chastised for your refusal to stand on it? Though not everyone realizes it, physical diseases are named in ways that describe the disease process, usually using Latin or Greek root words. Diabetes Mellitis is a good example. It is so named because it makes the body’s fluids (blood and urine) sweet. Schitzophrenia is an incredibly outdated term that bears no relation to the person’s distress. In fact, it’s Greek origins ‘schizo’ means “split” and ‘phrene’ means “mind”. This could more accurately be the name of MPD/DID. It doesn’t reflect the many different causes of disconnection from reality. Additionally, there is little evidence of a unique disease process. The medical research community does not consider it a single disease process or even a disease process at all, but rather a cluster of disorders (at least 8), perhaps more. There’s no evidence base for current long term psychiatric (meaning medication) treatment for this non-disease, regardless of whether the patient has fresh fruit in his pockets or thinks he’s Jesus. The harsh western medicalized treatment of the many presentations of distress labeled as schizophrenia is a miscarriage of justice and a malpractice of medicine. And it’s truly hard to believe there are providers out there still ruining people’s lives by labeling them with what is culturally thought to be practically a death sentence for the mind. I am with the others saying to drop the labels altogether. Medicine is doing more harm than good with these labels and treatments, disabling people for life and calling it “treated”. It’s truly shameful and shocking that this is still going on all around the country and indeed around the world. The only way this makes sense is because of the massive profits being raked in by the pharma-mental-treatment industry that is largely being funded by taxpayers, through the fraud of Medicare/Medicaid payments, which constitutes an organized effort between the American Psychiatric Association, Pharma, and multiple us government agencies. There is currently a RICO (organized racketeering) lawsuit that was just allowed to move forward in Texas on behalf of Lyme disease patients against the IDSA and multiple insurers, and this may be a strategy that survivors of psychiatric harm consider using considering the known coordination between industries in the psychiatric field. Dollars for Docs anyone? Food for thought for those questioning the labels and treatments. How awful to stand, on your own refusal, and sink in the snow from dead weight, and see it happening all the time, the medical profession, the ssssSSSSSilence, the words on this screen, Anything EVERYTHING! Totally what everyone completely knows and says nothing about..
Yeah no disconnection from a prism of anything noticed, from all of their accomplished prophecies. Tried the fresh fruit myself and ended up leaving the P’lace with S’our cream. The potatoes might be ready by now! Instead of calling it “sinking,” let’s call what happened to the Titanic “assuming a lower floating equilibrium.” That way, everyone will feel better as they go under. What the heck difference does it make if it’s renamed? Do we have to “gain consensus” before we decide whether cancer is an illness? If “schizophrenia” is decided NOT to define a “disease” category, why would you rename it instead of just tossing it out? Or maybe we can rename each person’s experience without forcing them all into a category – maybe ask the client him/herself what name seems most appropriate to them? But then where would the research money come from, and how could we justify drugging if every person’s needs are different and can’t be categorized? But if vampires don’t exist what will Buffy and Van Helsing kill? Seriously the fact that you can make diseases magically disappear or transform them into something else lends credit to the notion that “mental illness” is indeed a social construct. Can doctors vote cancers into existence? Or turn melanoma into liver disease with a stroke of the pen? There are groups of writers, educators and editors that assemble to vote on expressions and rules of grammar for proper writing. What I read in They Call You Crazy reminded me of those groups. But everyone acknowledges the language experts’ efforts are social and artistic–not hard science. And they don’t have the power to lock you up, publicly shame you, or operate on your tongue for bad grammar. Drink the Kool-Aid y’all. This whole blog has actually been a behavioral experiment to see how many people would join a contest to “rename” something that doesn’t exist. and people who don’t have it (95%) will receive different diagnoses. It’s like renaming psychiatry into pepsichiatry. Would make a great comedy sketch. Psychiatrists have determined the term Schizophrenia to be stigmatizing. So they’re replacing it with the alternative diagnosis Crazy Creepy Psycho Disorder. Nearly all traits associated with “schizophrenia” are highly unflattering. So whatever the name is it will be insulting and cause discrimination in all who take it seriously.